The father’s personal injury claims for asbestos exposure leading to asbestosis were filed in a Massachusetts state court, but ended in summary judgment favoring the defendant in 2009. 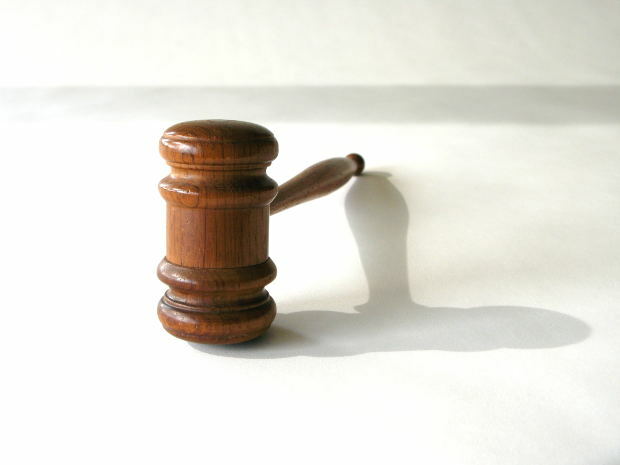 Plaintiff then filed a separate action for mesothelioma after he received that diagnosis. Defendants sought to have the mesothelioma lawsuit dismissed on the basis of the common law doctrine of collateral estoppel, which essentially prevents a person from re-litigating the same issue. Plaintiffs argued against this, noting that asbestosis and mesothelioma are two separate and distinct conditions. While asbestosis is a undoubtedly a serious lung disease, it is not a cancerous one. Mesothelioma is a lethal and aggressive form of cancer that typically manifests in the lining of the lung tissue. Both are caused by exposure to asbestos – almost always through inhalation of the fibers – they are in fact separate injuries. The doctrine of collateral estoppel is in essence issue preclusion, which means if there is some key issue that has already been decided, the party can’t go back and argue that same issue again; courts will defer to whatever the previous court decided. What makes this case somewhat unique is that when defendants filed that request for summary judgment in the 2009 Massachusetts mesothelioma lawsuit, plaintiffs attorneys didn’t oppose it. Plaintiffs’ attorney in the new case didn’t attempt to defend or explain the actions of the previous attorney, but noted that if a summary judgment goes unanswered, it will be lost – that simple. That said, plaintiffs’ new attorney said that because that previous summary judgment motion did not go answered, it raises a fair point about whether it should serve as the basis for a summary judgment in a new case – and for a different injury – because the first case was not necessarily decided upon its merits. It should be noted that while asbestosis is typically caused by heavy exposure to asbestos, the same isn’t necessarily true for mesothelioma, which can result in some cases from a relatively short and isolated exposure. What that means is it’s reasonably conceivable that the asbestos exposure at issue could be different. Our mesothelioma lawyers in Boston know this ruling doesn’t necessarily have a direct impact on cases filed here in Massachusetts, even though it involves a case that originated with a claim in the Commonwealth. For example, the Pennsylvania Supreme Court ruled in the 2012 decision of Daley v. A.W. Chesterton, Inc. et al that the superior court had not erred in allowing a plaintiff to bring a mesothelioma lawsuit 15 years after his prior successful lawsuit for lung cancer and asbestosis. Prior to this ruling, plaintiffs were still allowed one malignancy and one non-malignancy claim, but this ruling established that state as a “separate disease state,” meaning plaintiffs can now file separate lawsuits for distinguishable malignant diseases allegedly caused by asbestos exposure. Each separate cancerous disease gives rise to a new and separate cause of action – with a new and separate statute of limitations. The court was clear to point out, though, that its ruling did not address whether there might be more than one cause of action for separate and distinct non-cancerous asbestos-related diseases. Plaintiffs in these matters will bear the burden of showing the malignant disease is separate and distinct from other cancerous diseases. Central to many of these cases is the discovery rule. Although MGL Chapter 260 section 2A limits causes of action for personal injury claims to three years from the date the cause of action accrues (when the injury or cause becomes known), the discovery rule can extend that timeline to start the clock at the date at which plaintiff knew or reasonably should have known these things. Mesothelioma, asbestosis and other related diseases are unique because manifestation of the diseases are so latent. While exposure may happen decades earlier, no diagnosis is issued for many years later. That’s part of what makes these cases so challenging. Even further complicating issues is when a person is diagnosed with multiple asbestos exposure diseases at separate times. The question becomes, when does the cause of action accrue? An experienced asbestos injury lawyer can help delve into these elements of your case, ascertaining the correct jurisdiction and time limits for your claims, as well as the type of claims you would be best off pursuing and against which defendants.